A lot of people have asked me how I keep my face looking youthful and acne-free. You see, when I was around 18-19, I suffered really bad acne. Med school is stressful, I’m sure you already know that. I’d have more than 10 pimples at any one time on my face. It was a horrible time. Fast forward 10 years (yes I am turning 29 on Tuesday), it’s no longer something that I have to worry about. There are a few things that have helped along the way and I’d like to share them with you today. 1. Beauty comes from within. I’m sure you have heard of the saying “You are what you eat”. True enough, as our diet affects greatly on how our skins look. I indulge in a variety of vegetables and fruits each day (the more colourful, the better!). I make sure I drink at least 1.5 litres of liquid, that includes at least 6-8 glasses of water and perhaps some freshly squeezed fruit juice. Alcohol not counted. Besides going vegetarian 2-3 times a week, I also go vegan now and then for the whole week to purge toxins out of my system because of my semi-party lifestyle. Here’s everything that’s good for you. 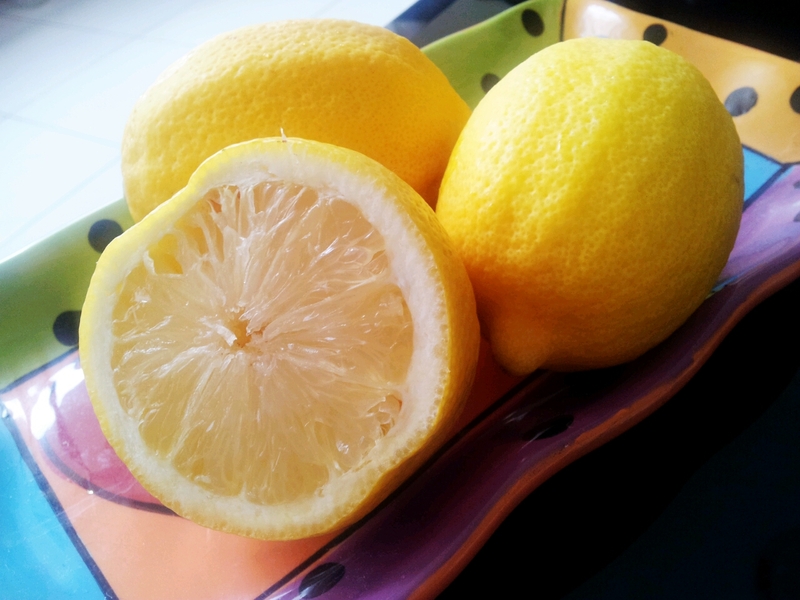 Before I eat anything during the day, I’d start with a glass of hot water with lemon juice sweetened with honey. Not only it helps to kick start the metabolism, it’s rich in vitamin C, citric acid, and B vitamins. From time to time, I’d used dilute lemon juice on my face. It helps to decrease pigmentation, exfoliate, and keep the oil level in check. For sensitive skin, simply add some honey or yoghurt for a milder face mask. Make smoothies with fruits, yoghurt, honey and lemon for a healthy breakfast drink that’s good for you inside and out. Yum. When life throws you a few lemons, you make your skin beautiful! SK II is the best thing that has happened to my skin. I’ve started using it since 2006 and I saw a clear transformation. My cleanser and moisturiser change from time to time, but one thing that has remained constant, of course, is the Facial Treatment Essence aka “Miracle Water”. It improved my complexion dramatically, repairing tired skin and refining the texture. 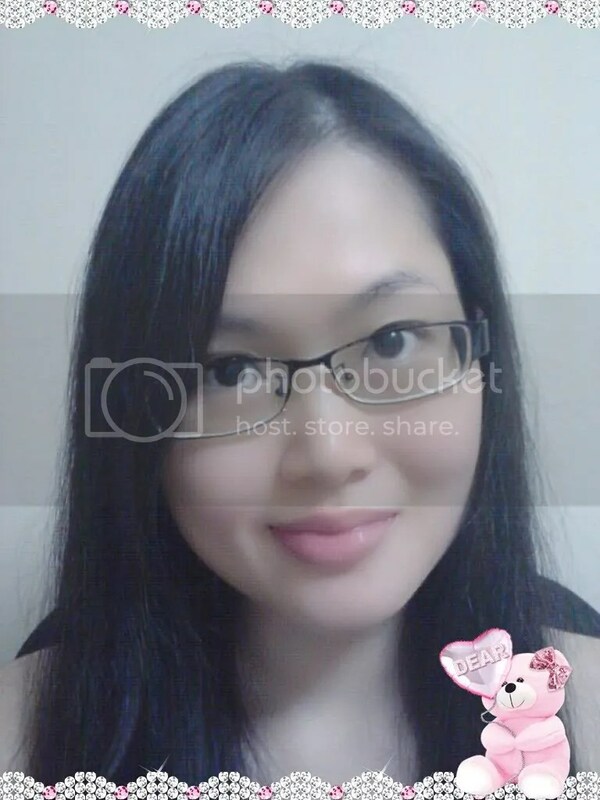 My skin became much more radiant and youthful. Few months ago, I’ve started using the Facial Treatment Repair C (works like a serum), recommended by my mum (Yes, she’s a huge SK II fan too), which reduces fine lines and help maintain skin renewal. Here are all the SKII products I’m currently using. There’s actually one thing missing from the pic: Skin Signature Cream. I’ve finished that few days ago and discovered that it’s now RM519 a pop! I’ve decided to try out Olay Regenerist, recommended by several bloggers. So far so good. As for cleanser, I’m using Bio-essence’s Bird’s Nest Nutri-collagen and Whitening Cleanser. It’s gentle enough but cleanse effectively. Inexpensive too. Contrary to what you see in the photos. I actually don’t wear make-up majority of the time except for events and gigs. Although I already use a pretty good combination of foundation that won’t clog the pores, I still prefer to have nothing at all. But when I do, I use a BB cream and a mineral powder foundation on top for light coverage. Make-up removal is vital. I like using an oil based formulation for a better result. These are great for mascara and eyeliners too. 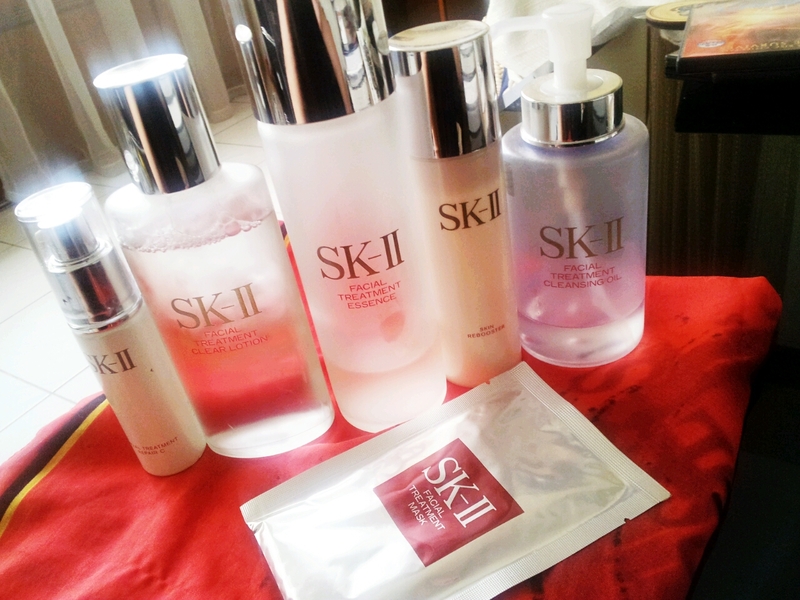 I use the SK II Facial Treatment Cleansing Oil, followed by a foaming cleanser. So far the best make up remover I’ve used. It goes without saying how important a good night’s sleep is for one’s well-being. If I don’t get enough sleep, my skin looks blotchy and dull. Stress can also cause break-outs. When I’m going through a particularly difficult week, I make sure I give my skin plenty of attention. A face mask is great for this. Not only it replenishes your skin’s need, it’s also relaxing. Do it with music. 🙂 I love the SK II Facial Treatment Mask. If I don’t have time to lie down with a mask on, SK II Skin Rebooster is another great product. I just need to put it on for about 10 minutes after my cleansing routine, rinse off and moisturise as usual. This might or might not come as a surprise for you. If you are on the pills, or considering going on the pills, you should know that there are some combinations that would either causes break outs, or eliminate them. In my earlier years, I’ve tried a few that did really bad things to my skin (Levlen, Microgynon 30, Microgynon 20). It wasn’t until I started using Diane-35, my skin was finally free of troubles. Every individual reacts differently to different hormone combinations. So get plenty of advice from your doctor, or your friends who are on them. Make informed choice. If you must. I hope that’s been useful for you, feel free to ask me any questions especially for point no. 6. 😉 Off to do a face mask before Oktoberfest Party tonight. Signing off with a naked pic of myself… I mean naked face. Start taking care of your skin from today! Yeah unfortunately the price also increase every year… But I can’t stop using it la. lol, honeysukle and chrysanthemum and pennywort tea is mine! I can’t say enough good things about going make-up free for a day a week. I usually go make-up free on weekends, and it’s amazing how well my skin reacts. Not sure if your moisturizer has sunscreen in it, but now that I’m in my 30’s, I can sure tell who’s been using it since their teens as I have, and who hasn’t. I don’t use moisturizer with sunscreen because I’m not out in the sun everyday. But my make up (bb cream and mineral powder) have SPF. When I do have to go out during the day, I just apply sunscreeen on top. Then you’re good. As long as there’s SPF in what goes onto your skin it’ll all do the same thing. hi kelly, thanks for sharing your beauty tips with us! last time i used to take lemon juice in the morning but never had that for a long time ,im actually now looking at taking smoothies in the morning, hope it’s just not ” 3 minute thing”. Looks like that miracle water is really a miracle! lastly , i hv to agree that you do have beautiful skin by looking at your photos! besides natural remedy, it’s true that we still need beauty products no matter how..
Yeah. We live in a world full of chemicals and pollutions….. so our skins are always vulnerable. Sigh!!! Too late for me…cannot be salvaged anymore. Beyond redemption!!! LOL!!! Keep up the good work – you look really good, I must say. Lol it’s never too late to adapt a healthier diet though. Hehe. What a good read 😀 Lemon + egg white mask is really good too! I totally forgotten about that beauty ritual until I read this post 😀 I’ve got really bad acne skin too and tried Diane-35 but it got worst T__T now back on Accutane unfortunately….. When I was battling acne back then I’ve also tried Bicarb Soda mask (quick one, for like 1 minute), and using Diluted Apple Cider Vinegar as toner. They worked quite well too. Indeed Diane-35 can do the opposite, in fact all pills behave different (other than preventing pregnancy) with every individuals. Have you tried any other? Some said Yasmin is useful too. The only gripe I have with Diane-35 is that weight gain is still an issue. 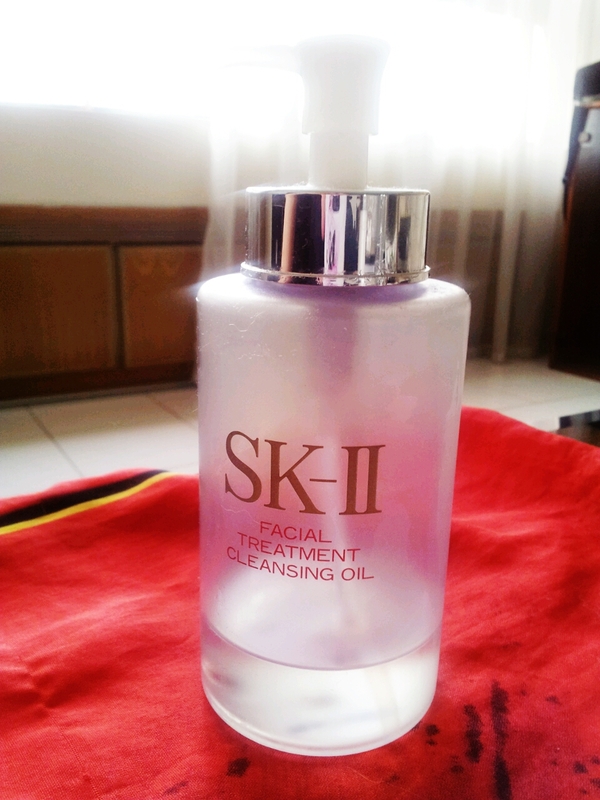 Can I know how much is a bottle of SK-II Facial Treatment Cleansing Oil? It’s about RM200 here. I now use a cheaper makeup remover. Biore Cleansing Oil… Also very good and only RM20! Wow … That’s a steep price! I bought Biore Cleansing Oil couple of weeks ago too but haven’t try it out yet. Yes! I actually got the cleansing oil with the points I accumulated, so it was free. Oh … Have you tried Kanebo Freshel White C Cleansing Oil or Kose Seikisho Perfect Cleansing Oil? They were good enough for me. Haven’t tried those two but I do like the brands. But right now the Biore Cleansing Oil is probably my best beauty buy so far. Works well, smells lovely and leave the skin soft and supple after. Unbelievably cheap. Haha! I use The Skin Food Red Bean BB Cream. Sorry to tell you this ,but you will regret diane 35 the rest of your life. Hello, kelly. Do you still use diane 35? How long did you take it? And did you gain weight?